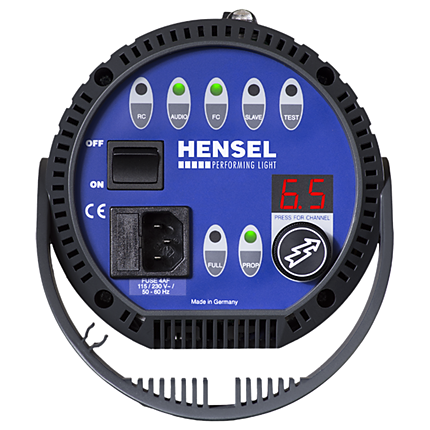 The Integra Plus 500 is Hensel's most rugged strobe, offering a 6-stop power range adjustable in tenth of a stop increments. The Integra Plus will gladly work all day, every day and includes high performance electronics allowing operation in the toughest of conditions, making them perfect for the rigors of location-based photography. Wireless firing, power control and modeling light functions allow the photographer to concentrate on being creative rather than the operation of the strobes. 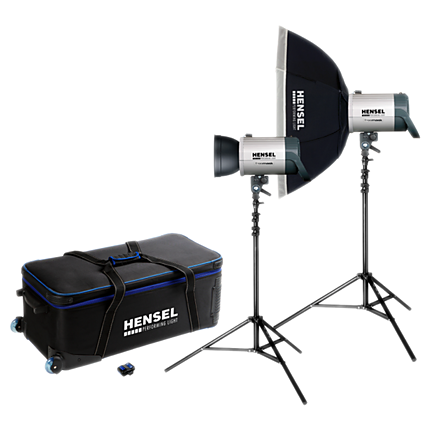 Hensel’s two light Integra kits have traditionally shipped with an umbrella. This promotional kit replaces the umbrella with an Octabox E 90 cm (35.43”), providing more control over the light and, in many people’s mind, making it a better portraiture kit. On top of this, the kit costs $150 less than the umbrella version. The control of flash through radio frequencies. Some flash units have built in radios with multiple channels. The number which indicates the effective power of a flash unit. This is the type of flash used to add more light to an image.